Deliberate mistake: Loch Ness is portrayed as a clear lake, as shown in the underwater scene. In real life, Loch Ness is so murky there is only six feet of visibility. Obviously deliberately done for the sake of the storyline. Deliberate mistake: The taking of the famous "Surgeon's Photo" of the Loch Ness Monster from real life is worked into the fictional story of the film, which takes place during World War 2. The Surgeon's Photo was actually taken in 1934. Obviously deliberately done for the sake of the storyline. 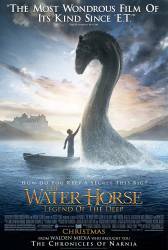 Factual error: Loch Ness is an inland lake with very limited access into the open sea, or at least much less than portrayed in the film.